View More In Friendship, Social Skills & School Life. This hilarious novel from award-winning author Wendy Mass is now available on audio. 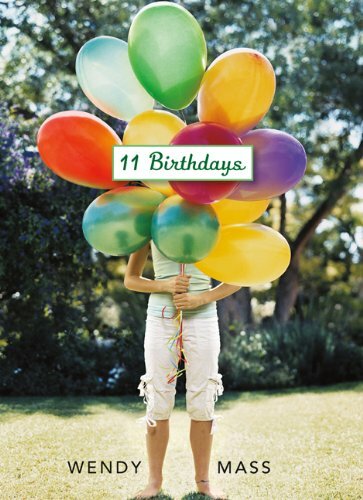 It's Amanda's 11th birthday and she is super excited---after all, 11 is so different from 10. But from the start, everything goes wrong. The worst part of it all is that she and her best friend, Leo, with whom she's shared every birthday, are on the outs and this will be the first birthday they have spent apart. When Amanda turns in for the night, glad to have her birthday behind her, she wakes up happy for a new day. Or is it? Her birthday seems to be repeating iself. What is going on?! And how can she fix it? Only time, friendship, and a little luck will tell. . . .